Ever since the release of The Disaster Artist, Tommy Wiseau has engaged in a sort of permanent press tour. There are still mysteries surrounding Wiseau’s origins, but the elusiveness that helped turn The Room into a cult hit has been replaced by a sort of constant deluge of viral Tommy Wiseau content. The movie made it back to theaters for a wide release, and may get a 3-D re-release. Wiseau’s got a new collaboration with Greg Sestero called Best F(r)iends, and some sort of cyberpunk(?) project called Scary Love in the works, too. In just the past couple of weeks, he has released a music video, acted out a bunch of famous disaster movies, and given a series of incredibly earnest lessons on how to make a film. Hell, if you live in a city with midnight Room showings, you have probably taken photos with Wiseau, or at least gotten close enough to count the rips in his jeans. 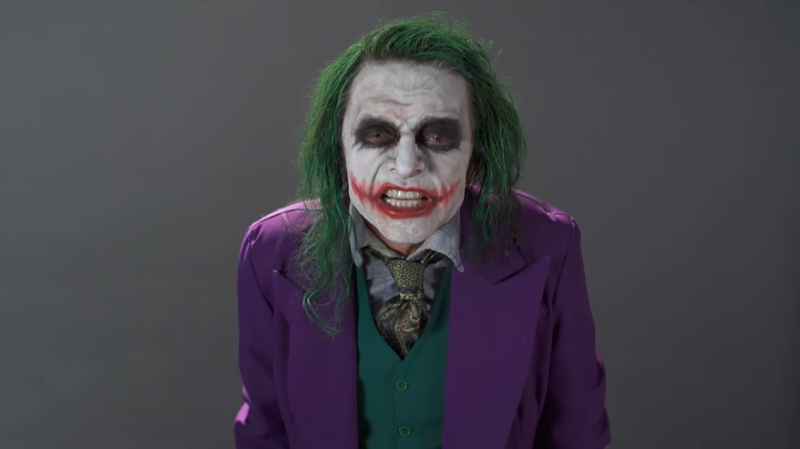 All of which is to say you are excused for not having known about Wiseau’s campaign to steal Joaquin Phoenix’s part as The Joker in an upcoming film about the character. Wiseau originally started tweeting at director Todd Phillips asking for the part, after which Sestero volunteered to be his Batman. Obligatory mashup trailers were made showcasing the theatrical possibilities of Wiseau playing the iconic role. There is a lot of screaming. There are many occasions in which the volume of his voice appears to be fluctuating at random. Sometimes his eyes are closed. In Tommy Wiseau, we have found a sort of perfect internet celebrity, willing to show up and do whatever. We look forward to his ironic presidential candidacy in 2020.